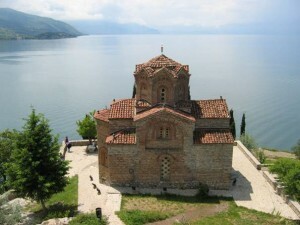 In Summer 2008 SPARK, the Dutch NGO specialized on summer universities and start-up centres in the West Balkan, held one of its university events in Lake Ohrid/Macedonia. In Group 8 (out of 10) there were 23 students from Croatia, Kosovo, Macedonia, Montenegro, the Netherlands, Serbia to follow an interesting mix between general policy making studies (responsible was prof. Daskalovski, with whom there is a close cooperation by LIBERTAS via the Skopje-based think-tank Centre for Research and Policy Making – CRPM, too) and European Studies, focused on multiethnic societies (e.g. European Union Charter of Fundamental Rights, European language issues etc.). For this part Hans-Jürgen Zahorka from LIBERTAS was responsible. The participants spent altogether two weeks full of interesting discussions, lectures, simulation games, team work. In ISUM 2008, like in all other summer universities, SPARK assembled local – in this case Macedonian – professors and foreign visiting professors, scientists and practitioners.